The project deals with the success factors of policies against racial or ethnic discrimination that are already implemented in European cities. The concrete steps of implementation, important arguments in negotiations as well as challenges and lessons learned will be identified and analysed. Basing on this analysis, model policies will be compiled and made available to local authorities, politicians and practitioners. Another aim of the project is facilitating anti-racism policies through mutual learning, exchange and trainings. - Analysis and compilation of transferable model policies. Local politicians will attain knowledge on the key factors for policy success and arguments and tools for negotiations. City administrations will be provided with policy examples as well as instructions on how to implement them. Civil society actors and vulnerable groups will be also provided with arguments to advocate for the implementation of policies against racial or ethnic discrimination. 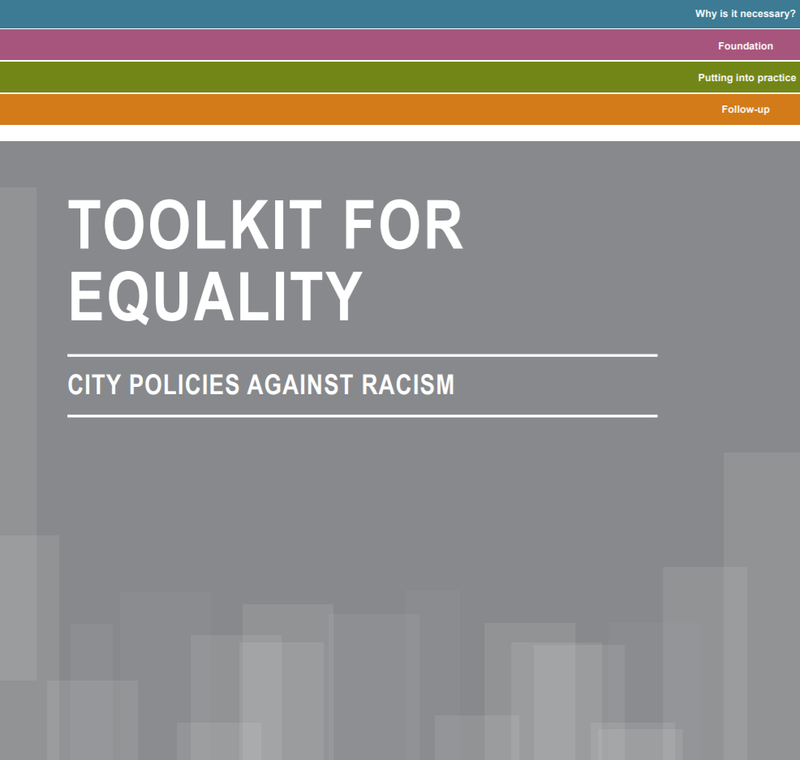 The ECCAR Toolkit for Equality, outcome of this project, is available for download here in German and English, and can be accessed in Italian on the Italian version of the site. This project is funded by the European Union (JUST/2014/RDIS/AG/DISC/8084).